Business involves making a thousand financial reports, documents, projects, and invoices. To manage a business is a challenge in itself and one mistake may give a downfall. Every day, an entrepreneur has to manage many accounts and invoices. For running a business, there should be some professional way. Unlike earlier times where there were no proper management tools, the present time is totally different. Nowadays, there are many apps and software which help you to manage all your business transactions easily. One of them is Mavenlink. It is a powerful project management tool for business. Why you need alternative to Mavenlink? Microsoft Project & Portfolio Management is a nice tool for managing all the business transactions. It can handle all the projects in a simple way. This tool will give you an exact way to manage time, cost, resources and schedule. It also displays metrics, trends and project information. This tool comes with built-in templates and scheduling options. Microsoft Project & Portfolio Management is one of the best tools for increasing the productivity of team members and project managers. In a company, the coordination among the employees is the most important thing. Asana is one of the most amazing project management tools for small or big scale companies. It helps the teams to manage the work in an organized manner. In this software, you can manage weekly tasks and projects. It gives you a precise idea of how much the work has been accomplished. It gives the notifications to the users when a certain task completed. You can also view the status of the work on Asana. 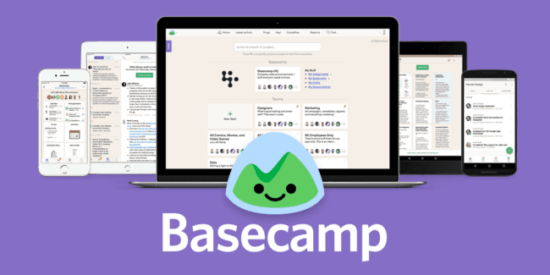 The next on the list is Basecamp. It is used by millions of employees all around the globe for handling business tasks. It is a project management tool which special features such as to-do lists, messages, schedules and files for managing the business transactions. Basecamp helps the employees to find any document easily. It also comes with notification board where you can post the information of the company. It is good for both long-term and short-term projects. It also has a chat room for discussing the matters of the company. With Smartsheet, each work goes in an effective and smart manner. It is a powerful online project management tool. The user interface is quite simple for all. You can share various files and documents with your colleagues. This tool has the sheets similar to Excel where you can save all the facts and numbers. Smartsheet also has nice tech support for solving the queries of the customers within some time. You can create a list of work or tables for putting data in it. The next on the list is Airtable. It is a multifunctional tool by which you can manage many activities of your business at the same time. It has a spreadsheet interface wherein you can make tables and lists of different facts and figures. It has cool features such as revision history, calendars, kanban card stacks, and file attachments. Every employee can now manage the work in an easy way with the Airtable tool. They can discuss the matters together on one page. BigTime is an easy and latest project management tool which you can use for small or large firms. It saves time and manages well the projects. It comes with features such as QuickBooks and Customizable reports. You can also make the invoices of the company in a single click in BigTime software. It is not only a time-saving tool but also a cost-saving option for business. You can manage your budget, time and resources with this tool in an effective way. Paymo is quite unfamiliar but a robust solution for managing the projects, accounts, and invoices. You can also track the time for each activity so that you can know the total time taken for numerous tasks. You can even prepare invoices in a simple manner in Paymo. The user interface is quite simple with good options. You can easily maintain the records and data of your business in this tool. It is beneficial for both the individuals and companies. The next on the list is ClickUp which is again a good project management tool for companies and individuals. This tool is a nice way to connect with all the employees of the company for discussion of matters. You will be able to find any document easily on this tool. It has easy notification settings. ClickUp has an easy setup. People in different cities can manage one project on this tool via messages, email, texts, and notes. It is a good option for a successful business. Runrun.it is one of the best options for project management and other tasks. It helps in increasing the productivity of the teams and managers. It keeps the track on the time so that every employee can know the total time required for all the tasks. There is also a place for comments where people can post their reviews and comments for a particular task. There is also a to-do list where you can put all the tasks which you have to do in the future. The last on the list is Clarizen which is a nice project management tool. The installation is quite simple and it comes with various features such as resource management, document management, mobile collaboration, and time tracking. This tool also helps to save the cost and time on a project. It is easy to use and many famous companies have used this already. These are some of the exceptional Mavenlink alternatives which you can try for the different tasks of your business. These tools increase the productivity at work and help in saving time, resources, money and efforts. You can do better and smarter work in less time by downloading these amazing tools on your devices.